You guys will not believe the amount of jeans that I have in my closet right now. 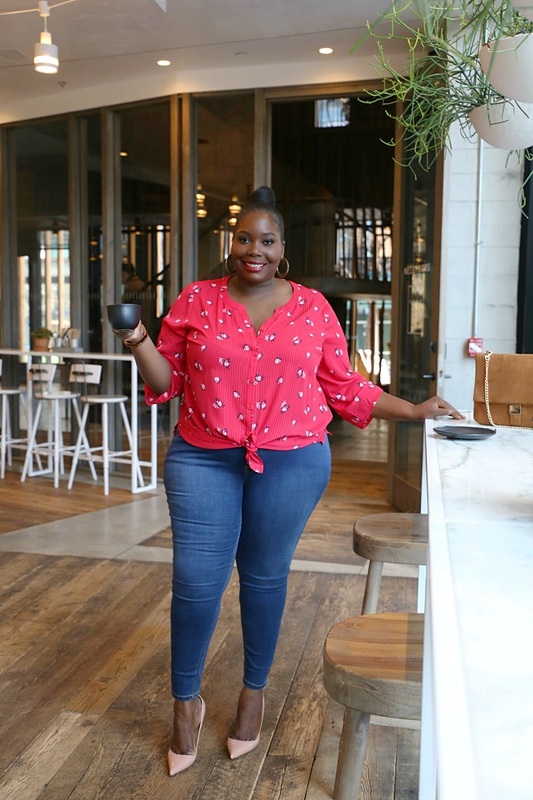 I am doing a complete denim makeover and I have been trying out jeans from some of my favorite brands. 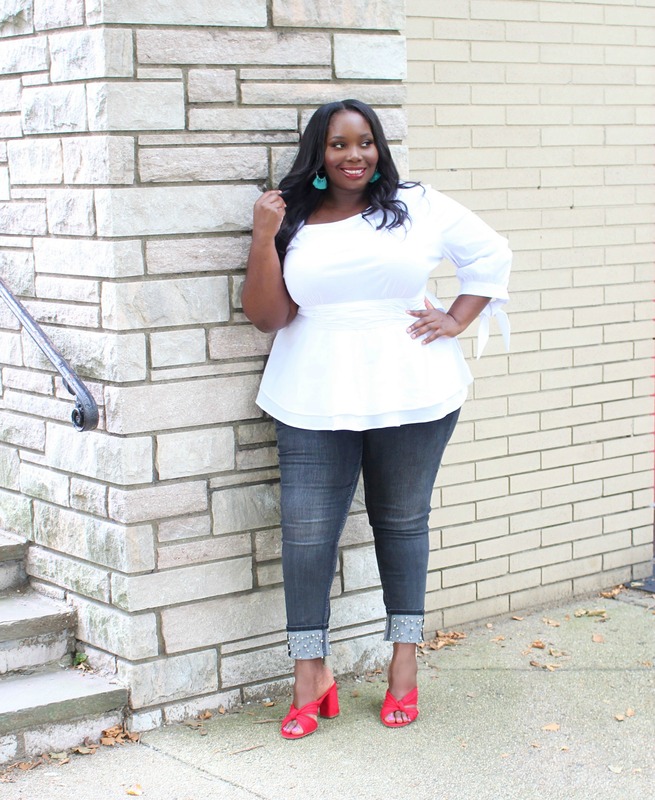 A few weeks ago I mentioned to you that I have started shopping back at Fashion to Figure (read HERE). Their new denim collection is so good. They sent me a few pairs to try and I fell in love with their distressed styles. One in particular that I became smitten with was a pair of distressed boyfriend jeans. 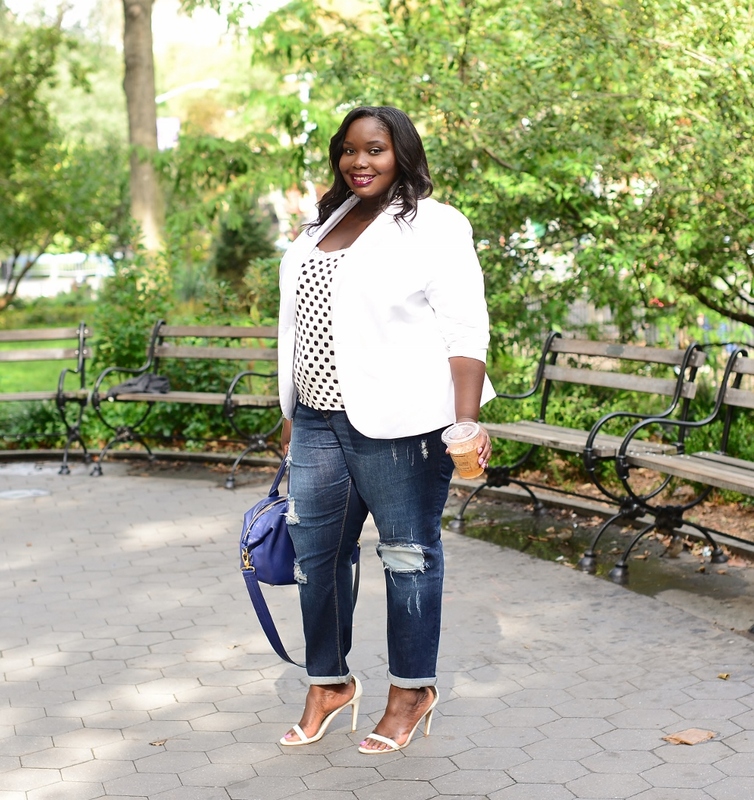 Whenever I wear jeans, I like to create a polished look. I rarely ever do jeans and a tee. 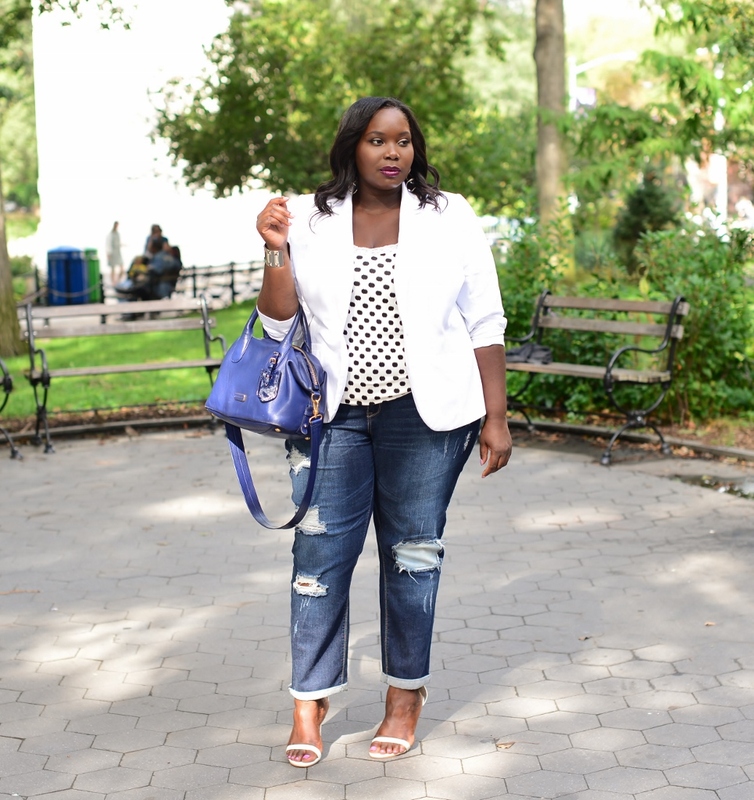 I personally love to wear jeans and a blazer. For a chill Monday afternoon, I decided to meet up with a friend to grab coffee and catch up. 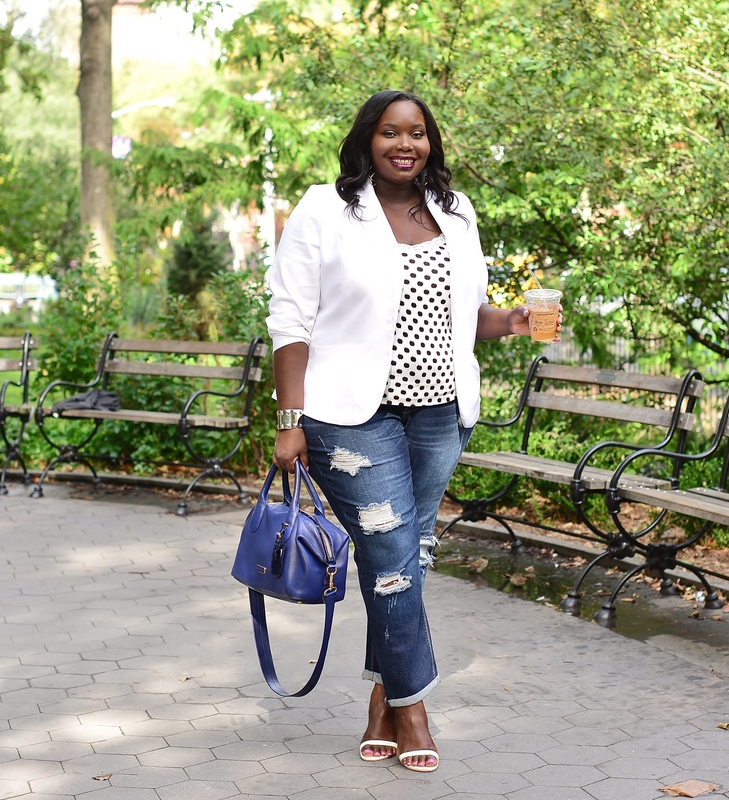 I opted for a white blazer and a polka dot tank top from Lane Bryant. I kept my accessories simple with my fave Marc By Marc Jacobs navy blue tote and a silver studded cuff from Forever21. For makeup, I kept a neutral face with a fall dark lip from Milani cosmetics. 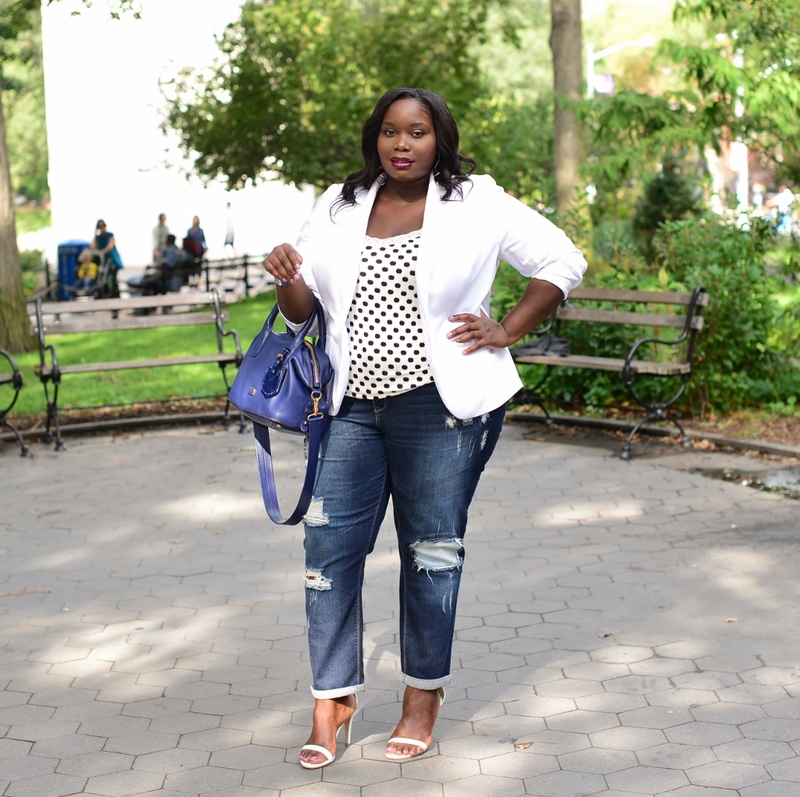 As for the jeans, I had to size down and the fit was perfect. It gave me just the right amount of relaxed fit without being too baggy. I also liked the jeans cuffed at the bottom for a nice little modern touch. I read this article and found it very interesting, thought it might be something for you. 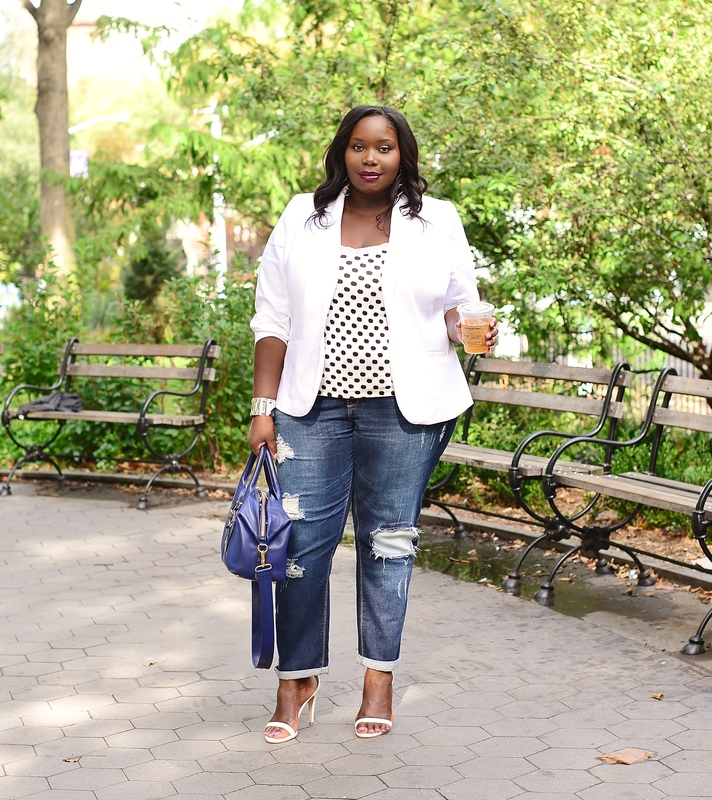 The article is called Style Journey: My Distressed Boyfriend Jeans From Fashion To Figure and is located at https://stylishcurves.com/fashion-to-figure-distressed-boyfriend-jeans/. Cheers!…it’s such a cool & chic look!